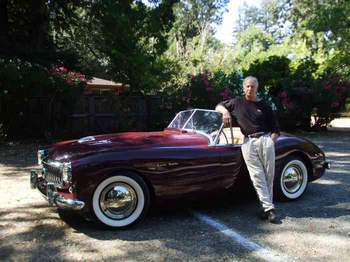 1951 Nash-Healy owned by Member Mike Ambrosini #5828..
Tracing the history of this car has shown, that my car once had a Cadillac V8 engine in it, and for some inexplicable reason the owner then swapped that out for a Hudson Hornet Twin-H Power (straight six). I returned the car to the original Ambassador, but equipped with some replicated engine parts from the early LeMans race cars: finned aluminum pushrod cover-plate and finned aluminum valve cover. Of course it has the original aluminum head and SU carburetors. 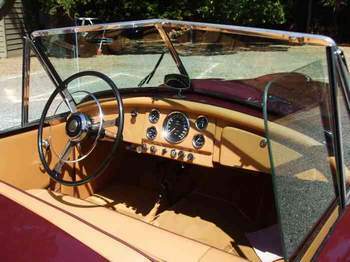 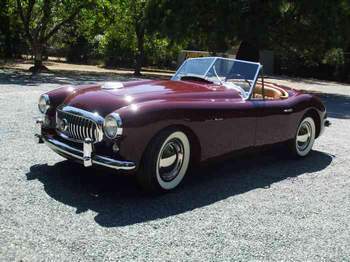 Sunset Maroon and Champagne Ivory were the only "official" colors available on the 1951 Nash-Healey. 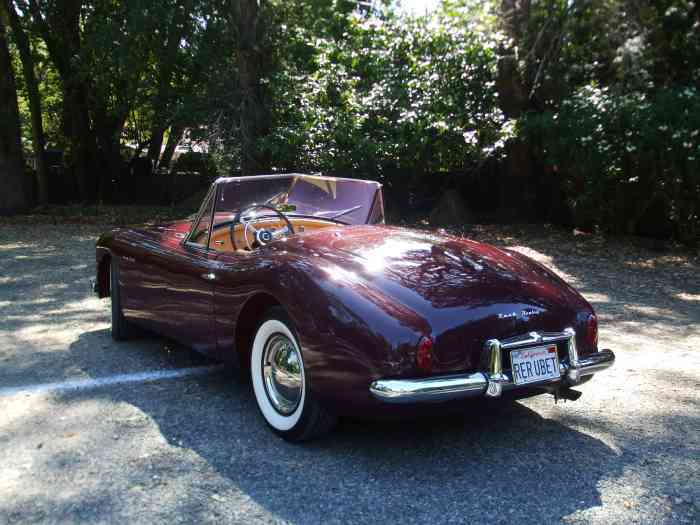 Full restoration work on my '51 was completed fairly recently, and I supplied the restorer with the two paint formulas I had discovered for Sunset Maroon Light from 1950: DULUX 93-33124-M and DUCO 246-33124-M.
(In the actual formulas if they are expressed in ounces of medium maroon, light maroon and white). The chap who painted my car, in researching, found that Sunset Maroon, a color choice available in 1948, was NOT the one used on the later Nash-Healey, and that the proper name for the Healey color is "Sunset Maroon Light" - a color apparently introduced into the Nash line in 1950. The formula for the original "Sunset Maroon" paint contains maroon, red and BLACK tints.